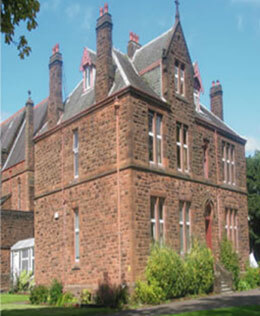 Mass had been celebrated in the Dumbarton area from the 1800’s. 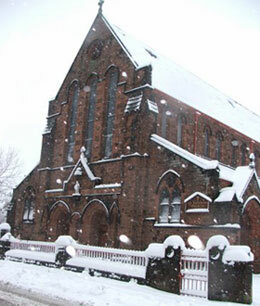 By 1830 there were 500 Catholics and seeing the need for a church, St Patrick opened its doors; being the first post-Reformation Catholic church in the area. 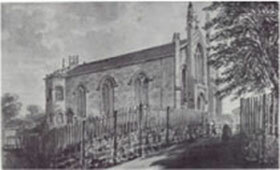 The foundation stone of the new church was laid in 1901 with the formal opening on the 22 March 1903. 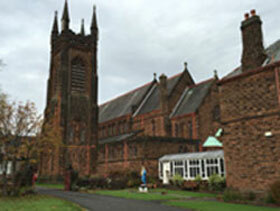 The foundation stone of the tower was laid on 27June 1926 by the Archbishop Mackintosh. The new marble side altars, the pulpit the altar rails, the organ, the mortuary chapel, the tower and its carillon of 23 bells had all been completed by the end of 1927 and with the erection of the Pieta on the marble altar in the basement of the tower the two years' work was brought to a successful termination. Child of Prague statue is located at the sacristy side of the Lady Altar. It was given to the church by the late Miss Kate Kelly on the occasion of her retrial from teaching in St. Patrick’s Primary School, where she had spent all her teaching career. The Sacred Heart Altar and the Lady Altar are of marble and were executed in the Italian city of Leghorn. It gives a general impression of great solidity. The statues on the altar are three in number, the centre one of the Sacred Heart and those of the sides of angels. The Sacred Heart statue is more or less conventional in style but adds to the common impression; the idea of Our Lord stepping down as it was from heaven to earth. The angels are exquisitely carved down to such small details as the faint wrinkles just visible on the finger joints and they at once suggest reverence and adoration. These statues flank two panels, one on each side of the central statue of the Sacred Heart. The panels are sculptured in high relief, and the details are exceptionally well done. There are two relief’s flanking from the central statue; on the Gospel side of the statue represents the Annunciation , and underneath the panel are carved in the marble the words Ave Maria Gratia Plena – Hall Mary full of Grace. The statue of St. Michael the Archangel with the holy water fonts (at the entrance to the middle aisle) was donated by the Gordon family to commemorate Father Michael Gordon who was killed at Coxyde in Belgium in 1917 while serving as an Army chaplain. The memorial is the work of Eric Gill who had been received into the church in 1913. It consists of a Statue of St Michael the Archangel, sword in hand, preparing to strike the serpent coiled around his feet. 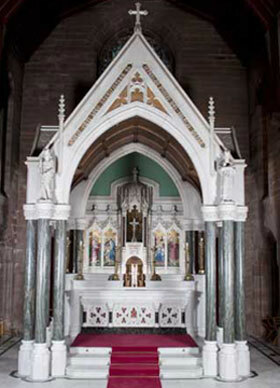 The pedestal has the prayer to St Michael on the front panel and the commemoration of Father Michael Gordon on the back. The serpent is painted in black, yellow and red – according to local tradition the most diabolical combination of colours – but also in reality the national colours of Belgium where Father Michael was killed.